High Tek has never been a fun product for me to open as I get lost looking at the patterns and trying to figure out if I have something rare or not. On the flip side, some of the patterns are cool no matter what and if one of my favorite players is on it then who cares about value, it will just be a stinkin’ cool card to own. 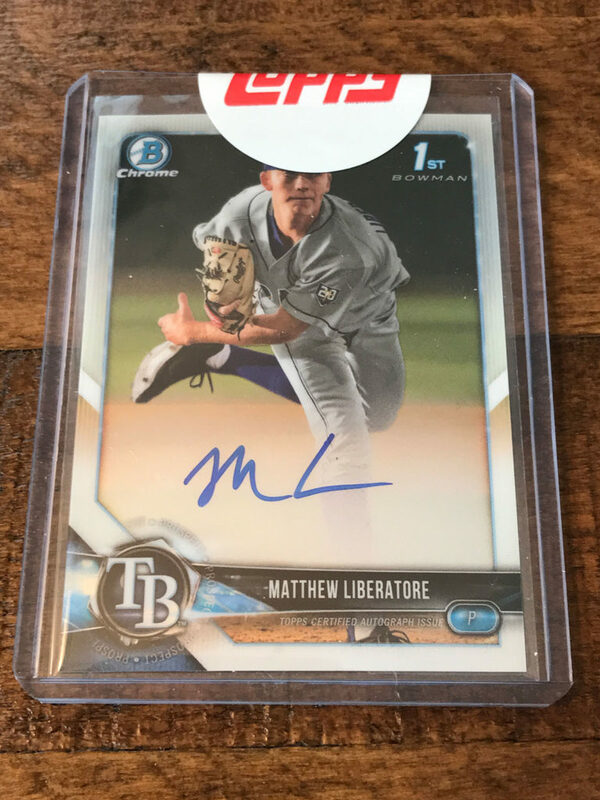 I do like the upping of 40 cards per pack with 2 on card autos and if you hit a redemption card, it is for a bonus auto. At any rate, it was a fun break for me because of the fat pack and the promise of so many cards. Some great patterns and a great baseball season have made collecting very fun! I watched quite of few breaks of this stuff. Along with the big sell sheet hits, there are definitely some stretches for names in this product. In fact, I didn’t know the player I pulled an auto of in the video above. That doesn’t really mean much. LOL. 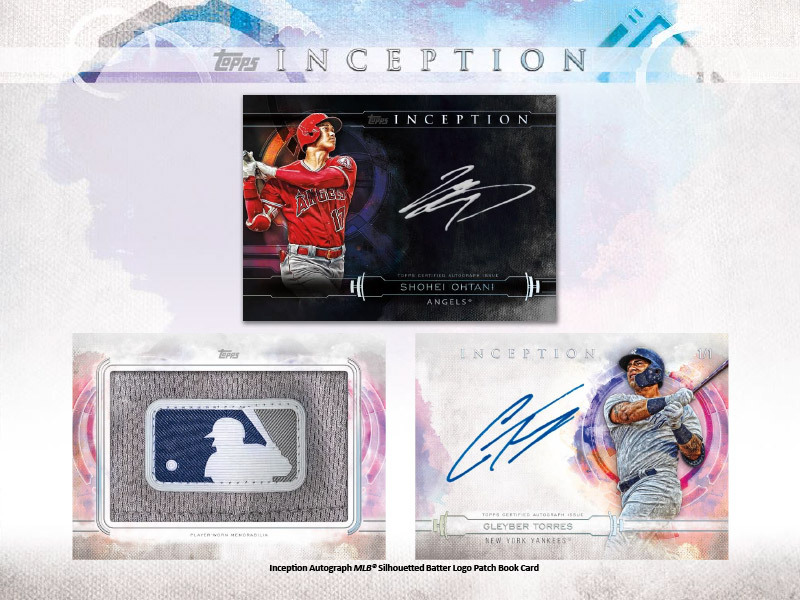 What I do like about this product is having the opportunity to pull autos of a player I do know and remember and that the cards are already in a one touch and I can put it right into my PC. I can’t keep up with all the releases, but that doesn’t mean I can’t do a review right? I was able to get into a break and do a few personal boxes of my favorite baseball product year to year. What do I like about this product? I love the thick stock, the slight changes to the design, the chase for huge deca books, white whales, and triple relic autos. I also love the books and fun great patches. Mind you there are still some “napkins” as John would say from Sports Card Investors. That would be the only real disappointing this about this set. If the price were to drop I think this set would have more legs and command great money after the first few weeks of release. It was followed rather quickly by Bowman Chrome and the market just deflated. That and the product did have a lot of redemptions. So much so, when you saw one you knew you were likely to land a huge hit… that isn’t true everytime but a lot of the decabooks were redemptions. Here is a picture of a couple hits that were crazy. 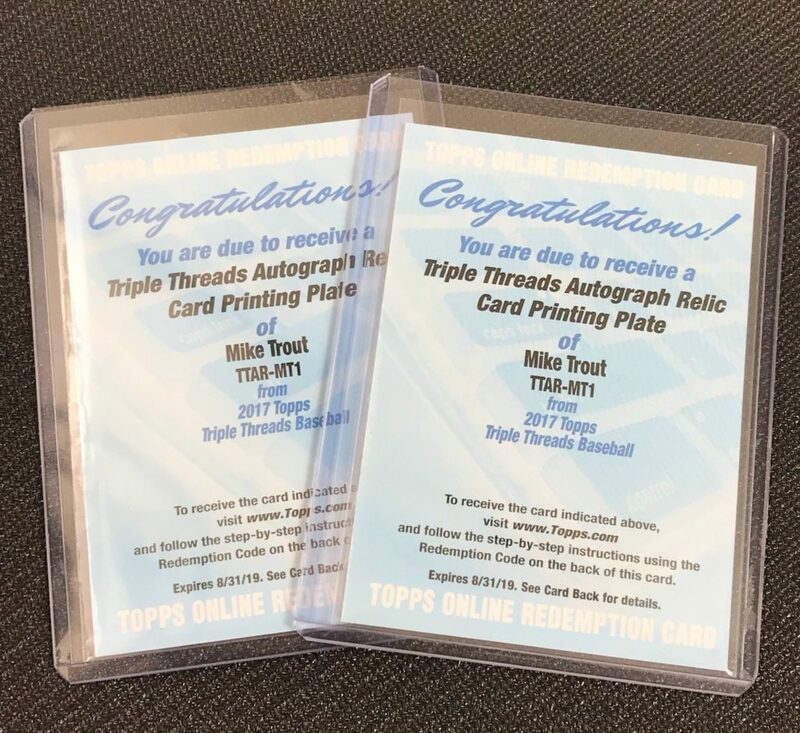 2 of the 4 possible White Whales of Mike Trout. This was a break just to see if I could find some magic in a blaster from WalMart. I didn’t get a hit but I did get a lot of great cards. Oh and if you are wondering, “What the heck is Heritage High Number?” Well, it is the update set for Heritage. 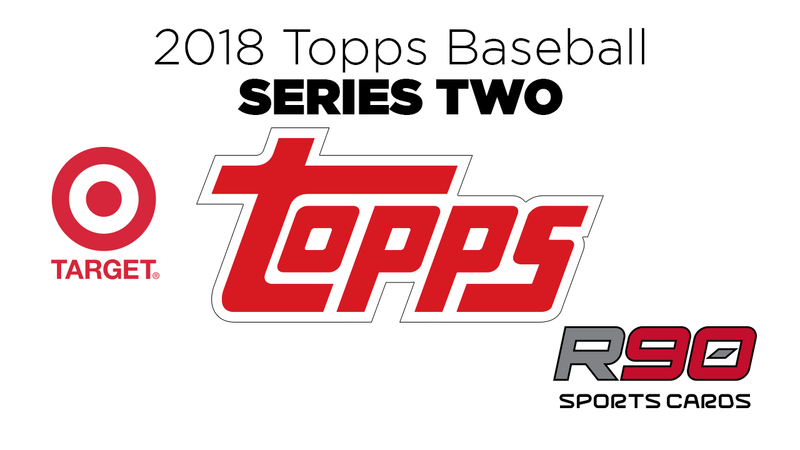 Like Topps flagship, this set has an update and that is what it is all about, you get to pick up rookie cards of late season call ups which makes this set desirable in and of itself. This is a set builders product which I don’t consider myself to be. However, I am a fan of old school cards and this set brings back some memories. I wasn’t around when the original 1968 set was done, but I was around when the card stock of these cards was used. I am a geek about the card stock and this is like you remember it, you can feel the fibers of the cardboard and it is thick. Makes you feel like you can put them in your bike spokes now and boom, you have a dirt bike/motorcycle for the day. I did rather well, pulling about 4 shortprints. Nothing that will set the world on fire, but hey, I am sure I have some set builders that would be interested in picking up the cards. Because this set brings back memories and is reminiscent of what the hobby used to be, for collectors, I have to LOVE this product. 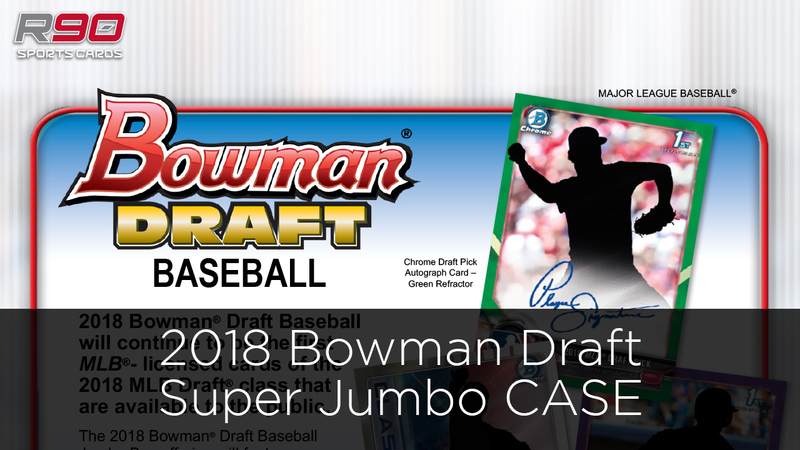 Finally, thanks to Tony from All Star Case Breaks, I got my hands on some Bowman Mega Boxes and I was ready to go hunting for Shohei Otani. Tony opened a few boxes live on his twitter feed and we were both hoping for a couple things. 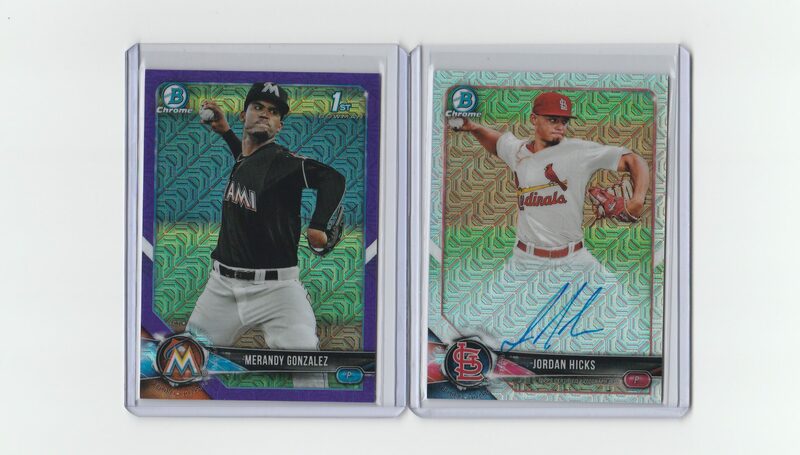 1, he would pull a Shohei Otani, and 2, he would pull a colored refractor auto of someone. 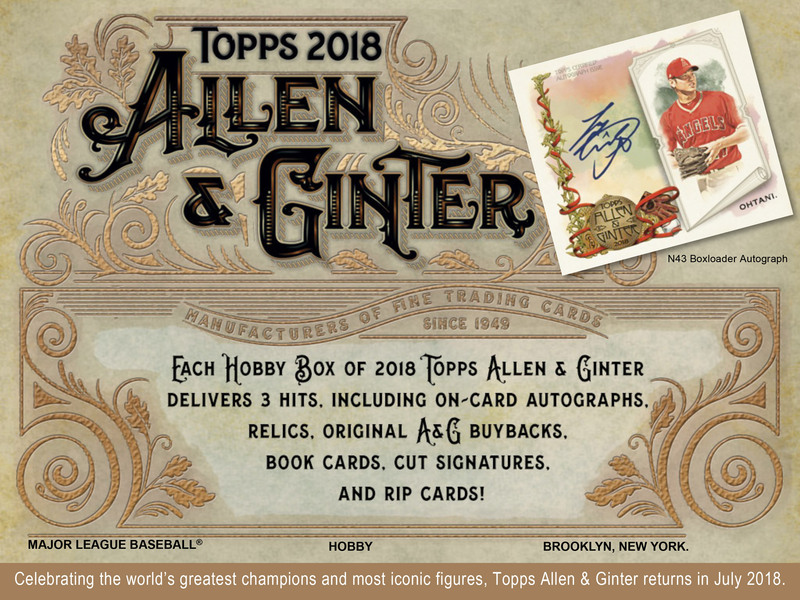 Tony didn’t get anything huge and we begun to talk about how the big hits were in the three boxes he picked up for me. 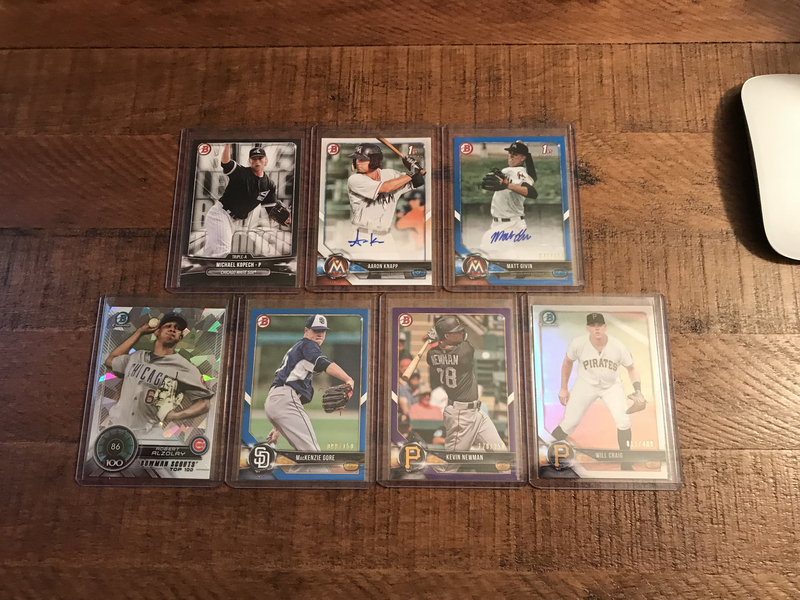 Well, after watching the video above – SPOILER – I did indeed hit an Otani and a few colored refractors, including a green refractor auto. It hurt to send him photos of the pulls, but I did… Thanks again Tony for the hook up and I am sorry I got the pulls. The design of the Mega Box refractors are super cool and The Rookies insert set, is sneaky cool in how the pattern is subtle and when you see it, it is a great surprise and looks awesome in person. I would love to see this refractor pattern in the hobby release and I look forward to it next year. I am sure it will be another retail exclusive… lol.